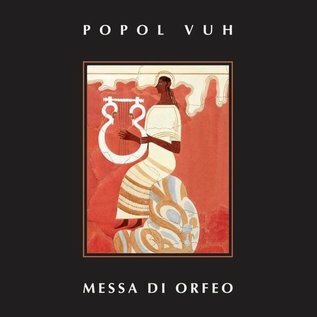 Born as Florian Fricke’s brainchild, the legendary Popol Vuh needs little introduction. Messa di Orfeo is Popol Vuh’s twenthieth and last album, released in 1999 and features music played during the audio-video-light installation as performed in the Labyrinth of Molfetta (Bari-Italy). What makes this album so special is the fact that Popol Vuh were a group that almost never performed live as Florian Fricke didn’t feel it would be possible to sustain the level of intensity needed for a full concert, and he preferred to spend the time he would have taken touring with writing and recording. With this unique album, POPOL VUH adds another major work to its constant search for the fusion of mysticism and music. Healing energy via sound (that are very reminiscent of the ambient pieces on Fitzcarraldo and Cobra Verde) makes these recordings spine-tinglingly beautiful. This is the first vinyl release of this record.